Hair Loss what works ? Propecia is a prescription medicine used for the treatment of male pattern hair loss (androgenetic alopecia). In clinical studies, 9 Out of 10 Men Improved or Maintained Hair with Propecia. 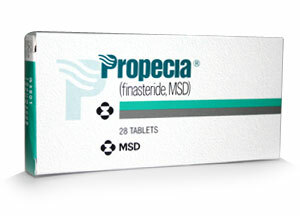 Propecia 1mg helps hair regrowth by reducing the amount of a hormone in the blood called DHT. An improvement is normally seen within three months. Improvement normally continues for about 2 years and in most cases, there is a noticeable difference in the thickness of the hair after five years of using Propecia. The effects of Propecia are normally confined to areas of the scalp that are thinning out but where there is still some actual hair present. The major benefit of Propecia is in its ability to actually slow down or halt hair loss and to re-grow hair in areas of the scalp which are thinning. Men’s Rogaine Extra Strength Topical Solution, with 5% minoxidil. In clinical testing, Rogaine Foam regrew hair in nearly 9 out of 10 men after 4 months when used twice daily. It is the only clinically proven medicinal product that is available over the counter for thinning hair. Minoxidil is the active ingredient in Regaine and has been scientifically proven to help with hair growth. Regaine should be used twice a day once in the morning and then again in the evening shortly before retiring to bed. 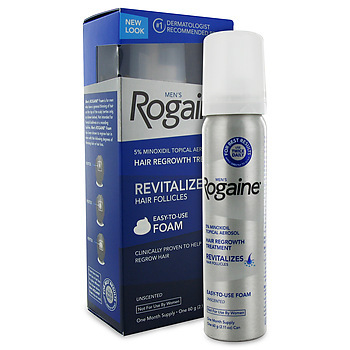 Regaine Foam with Minoxidil was found to increase hair growth by as much four times compared to a placebo. 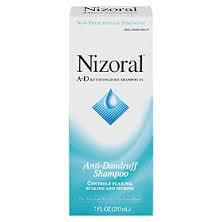 Nizoral shampoo is commonly used to treat dandruff and other skin infections. However, recently, there is evidence from various studies indicating that Nizoral shampoo can actually stop hair loss and even promote hair regrowth. Nizoral 2% shampoo should be used two or three times a week. Always leave the shampoo on scalp for between three to five minutes before thoroughly rinsing.